Carl Smith, Jr., age 91, Joplin, passed away on Monday, March 26, 2018 at his home on his birthday. Carl was born March 26, 1927 in Galena, Kansas, son of the late Thomas Smith and Christiana Peavers Smith. He grew up in Galena, and graduated from Galena High School, then attended Pittsburg State University before serving in the United States Army from 1946 through 1949. He returned to Joplin and worked for Yellow Freight for 40 years before retiring as a shop foreman. 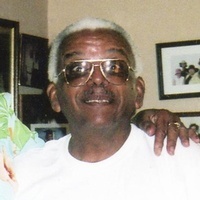 He was an active member of Handy Chapel A.M.E. where he was a former treasurer. In addition to his parents, Carl was preceded in death by his wife, Rosie Lee Weathers Smith who passed away on November 29, 2003. Survivors include his daughter, Lurene Clay of Joplin; grandchildren, Robert Clay and wife Janice of Nashville, Tennessee, Richard Fowler, Mark Fowler, and Becky Fowler all of Joplin; six great-grandchildren, Malorie Clay of Dallas, Texas, Robbin Haynes and husband Christopher of Nashville, Mischia Jackson, of Joplin, Mark Fowler, II of Joplin, Michael Fowler and wife Abigail of Ozark, Missouri, Robbin Sam Fowler of Joplin; eight great-great-grandchildren, Jachai Sanders, Tyshawn Sanders, Brandon Jackson, Jr., Landen Aldridge, Myiah Jackson, Tianna Fowler, Liliana Fowler, and Sayer Fowler; one great-great-great-grandchild, Nova Felker; several nieces, nephews, cousins, and other family members. Funeral service will be Friday, March 30, 2018 at 10:00 a.m. in The Light at Joplin, 2501 E. 20th, Joplin, with Rev. Willie Rogers officiating. Interment will follow in Ozark Memorial Park Cemetery with Kenny Weathers, Earl Palmer, Gary Jackson, Anthony Weathers, Dave Jackson, and Kevin Jackson serving as pallbearers. Honorary pallbearers will be Jim West, William Jackson, Donnie Cox, Mark Fowler, II, Michael Fowler, Brandon Jackson, Jr., and Landen Aldridge. The family will receive friends at the church from 9:00 a.m. until service time on Friday.